In order to keep your muscle gains going, you have to consume calories to fuel them through their various processes. Finding time to eat enough calories daily actually can be quite difficult, so most people need help finding quick foods for eating on the run. These foods will usually be protein rich, but you want to make sure you get enough of all nutrients as well. Let’s take a look at some healthy snack choices to keep your gains alive while going from one area to another. Also, keep in mind you do not necessarily have to have protein immediately following a workout. Simply consume enough within the 3 hours following your workout routines. Nuts and jerky are the easiest protein rich snacks you can bring along because they are dry and can be sealed away in a plastic baggy. They take up little room and can also be good for use post workout since they generally contain high amounts of sodium, which is good to consume following intense training sessions where you sweat. 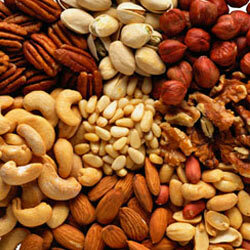 You can also add in dried fruits such as raisins or coconut to get more carbs and calories from your snack on the go. Always consider dry foods when it comes to running around since you may be in different temperatures. Red meat contains a significant amount of saturated fats that are not always on our side. Some seeking gains actually need this type of fat because they are not eating enough, but most professionals at even bodybuilding levels do not consume much red meat. Instead they prefer to consume fish, poultry, tofu, beans, and eggs as well. Only one whole egg and the rest are white eggs to be consumed. Processed meats leave you wondering what is even in the product you consume, and usually have a lower protein and nutrient content. Instead sodium levels are ridiculous and can even cause high blood pressure over time. 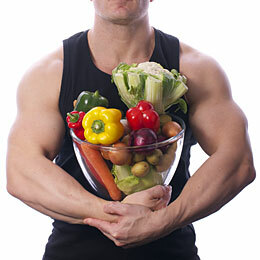 Supplements are great for supporting your diet and giving you the extra nutrients needed to keep your muscles fueled. Without enough protein being consumed throughout the day your gains become losses, which is called muscle catabolism. Basically your body is going to consume your muscle for energy production after carbs have been used. Protein powders come in a variety of different types, but the two easy categories to remember are whey and casein. Both of these come from dairy and have similar qualities when it comes to providing your body with protein. Whey protein digests faster while casein could take up to 4 hours before being fully digested. Simply place a scoop in your shaker cup and go on your way. Make sure you have a bottle of water or liquid source to use when it comes time for your meal. Remember, most protein powders are low in calories, so you may want some nuts to go with the shake! Pumpkins are not just for carving or making pies. The seeds found within these gourds are actually dense in nutrients and have a significant amount of protein to consume while keeping your gains on the go. You can easily mix them up within a mixed nut trail mix, or just season them on their own and eat when you have the urge to snack. They are also high in fiber as well!Even this study shows that pumpkin seeds provide humans plenty of essential nutrients. Believe it not, but you can have a protein rich breakfast in 5 minutes by simply having eggs, shredded cheese, and ham or some other type of deli meat in the fridge. Most people usually have these ingredients, but if you do not then consider it because they are cheap and make several meals. All you have to do is crack open two eggs on a skillet with butter to get the fat your muscles need. Let cook most of the way then add shredded cheese. You can easily just rip the deli meat up if you are in that much of a hurry. Fold the egg and eat! This is not something that takes too long, and if it does then start getting used to making omelets. Diced mushrooms and tomatoes go well if you have a few extra minutes. Another quick meal idea for when you are in a hurry. The quesadilla is very easy to prepare and should not take any longer than the omelet we just discussed. Cheese, beans, and even the tortilla contain plenty of nutrients including protein of course. The beans you probably want are black beans in a can that can easily be drained and used. Heat up a skillet, throw the tortilla on to warm up, flip and add cheese to melt. When cheese is soft add black beans then fold to create the quesadilla. Pour a cup of salsa to get some more healthy carbs and flavoring as well. The Bottom Line is Simple – Eat Food! Look, you have to consume nutrients throughout the day to keep your muscles and gains around. You may feel that you do not have the time, but if you truly care you make the time. Only but 5-10 minutes are needed to prepare simple nutrient filled meals. Other easy ideas can even be used for the ingredients bought such as putting peanut butter and banana in tortillas, or simply boiling eggs and refrigerating them to eat the next morning. If you care about your gains, grab the ingredients mentioned and started prepping meals. Demmy James is a fitness buff as well as a strength and conditioning specialist. He is also a content contributor for Muscle & Strength. 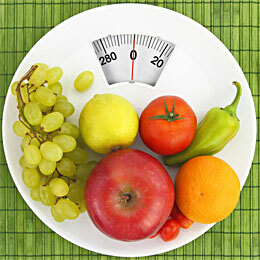 Does Calorie Counting Work for Weight Loss? How Much Coffee Is Healthy to Drink? 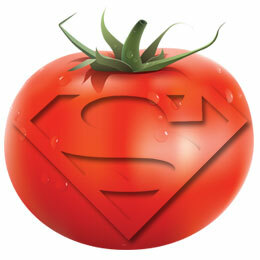 Top 10 Superfoods You NEED To Have In Your Life!